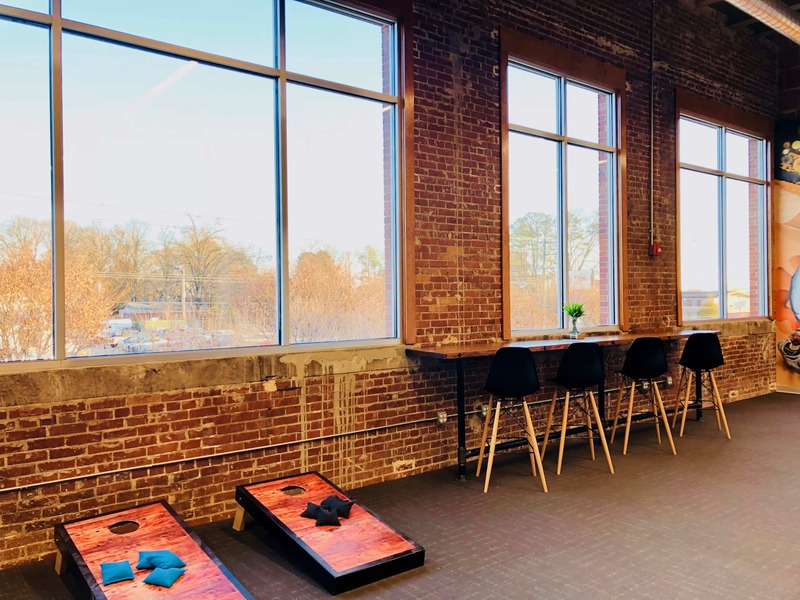 Coworks App is a Raleigh-based coworking platform focused on providing simple, smart technology and resources for coworking spaces across the country. The team from Coworks tours coworking spaces and interviews community managers to provide the best possible digital platform for shared offices. Below, read their blog post on The Launch Factory, and check out the original post here! Where is the prime location to both launch your business and create community in your work environment? If you find yourself in Charlotte, NC with these questions you should check out The Launch Factory! Located on Wilkinson Blvd, this coworking space has been providing a collaborative set-up to create and grow since February 2017. Although The Launch Factory is relatively new to Charlotte the textile building it resides in brings a unique vintage quality to the location. The brick exterior is suiting to the calming, yet industrial, environment that has been carefully cultivated on the inside. Natural lighting paired with the modern furniture allows everyone that enters the space to feel immediately comfortable. The space’s overall feng shui is built by key pieces such as a live plant wall, chair swings, and a large mural by renowned artists, Matt Hooke and Matt Moore. Although the atmosphere of a space can be critical for work productivity, another important component of coworking is the community that the space attracts. Lindsey Hook, The Launch Factory’s Community Manager, comes from a small startup background and believes in promoting strong relationships between members. Lindsey is currently the only Community Manager for The Launch Factory, which means although she handles an immense amount of responsibility, the members have the luxury have having a personal relationship with the manager over their space. Having this one-on-one relationship has attracted companies of various sizes and backgrounds. The diversity found at the Launch Factory is vast for this reason. 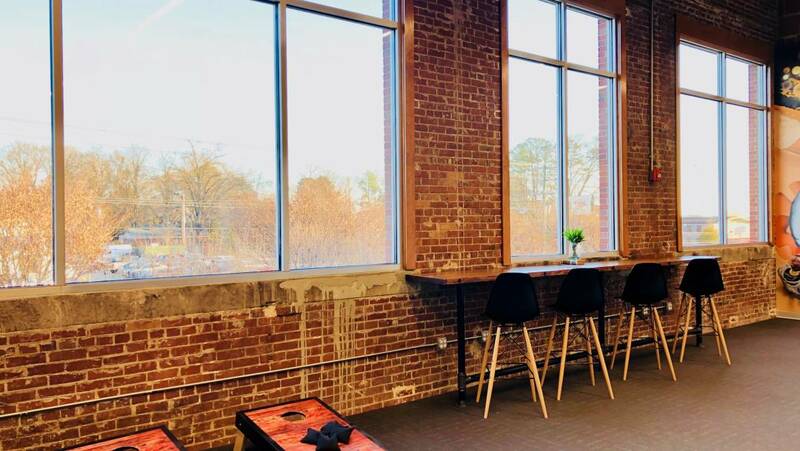 This grassroots coworking that can be found at The Launch Factory is arguably a cultural cornerstone of the startup community. This affordable office space with a great location right outside of uptown, comes with numerous benefits that one might not see at more commercialized locations. For instance, The Launch Factory members never have to worry about parking! Members have access to free parking, which is a rarity for downtown Charlotte. Along with parking, and the usual coworking expectations (equipped kitchen, printing, conference rooms, private suites, etc. ), there is also a strong sense of security. Only members have door access to ensure no intruders and once inside have access to high-speed, secure Wifi. Members also can openly connect in the space at one of the many catered lunches provided by The Launch Factory. This allows time to network and bond with those you work beside on a daily basis.